Towards the end of the wedding reception at French Creek Golf Club, the bride and groom and I went outside to do some sparkler photos. 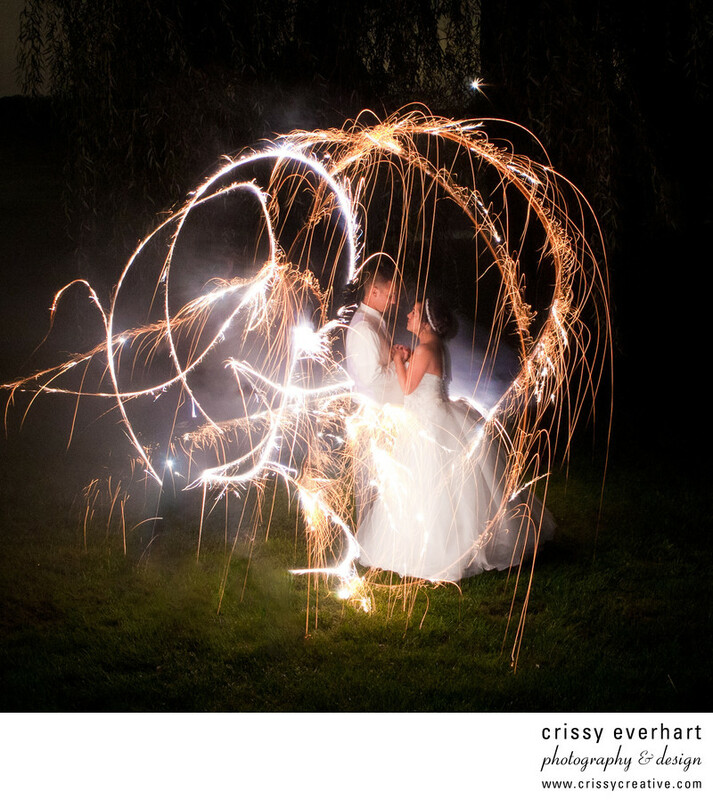 A long exposure with the camera on a tripod and some fancy sparkler dancing resulted in this image which reminds me of Cinderella's carriage! The bride's ball gown style dress and groom's shirt and vest are all white, so the couple is the highlight of the image.